Otto I was the son of Henry the Fowler and his second wife Matilda. On August 7, 936, a month after the death of his father, Otto was elected king and later crowned by the archbishops of Cologne and Mainz. Otto I successfully consolidated power by confronting—and defeating—his disobedient vassals and siblings in war. Otto’s half-brother Thankmar joined the dukes of Bavaria and Franconia in rebellion in 938. Otto was victorious, and in the end, the duke of Franconia surrendered, the duke of Bavaria was banished, and Thankmar was defeated and killed. A year later, Otto’s younger brother Henry revolted, supported by the King Louis IV of France, Giselbert of Lotharingia, and the duke of Franconia—who had only just been forgiven for his previous rebellion against the king. Both Gilselbert and the duke of Franconia were killed in battle. 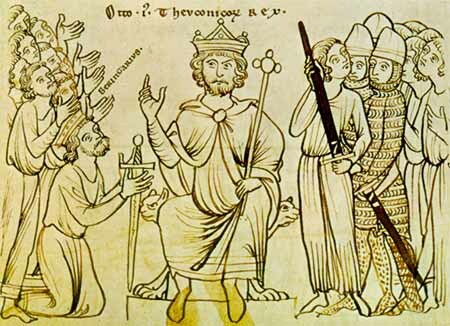 Though Henry begged his brother’s forgiveness—which was and granted—he took part in a conspiracy to kill the king in 941. Otto forgave him again, and Henry remained faithful thenceforth. Despite internal conflicts, Otto was able to spread and strengthen his the kingdom. He kept out Slavic and Magyar invaders, resisted France’s claim to Lotharingia, founded three bishoprics in Denmark, and secured his interests in Italy and Burgundy via his marriage to Adelaide of Italy. In 962, he was crowned Holy Roman Emperor by Pope John XII, whom he would depose two years later, placing Leo VIII in his place. Antipopes rarely kept their seat, but Leo VIII, with the help of Otto, remained pope until his death. 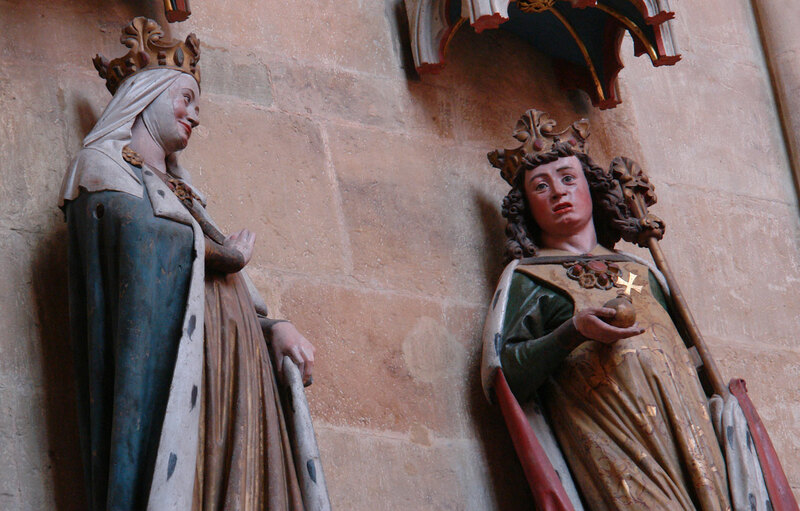 By suppressing revolts, ousting invaders, and using the Church to spread his kingdom, Otto was arguably one of the most successful German kings of the Middle Ages. He died on May 7, 973 in Memleben, Thuringia and was buried next to his first wife, Edith, daughter of the English king Edward the Elder. This entry was posted in Germany, History, Middle Ages and tagged Adelaide of Italy, German History, German Kings, Henry the Fowler, Medieval History, Otto the Great, Pope Leo VIII on August 7, 2014 by Andrea Cefalo.